VIN # 7H168582 Odometer 30531* 8 cylynder 331 ci Cadillac Engine, 3-Speed Transmission Appraisal Date 2/13/18 AAG File # 143711-163 The fair market value range is $23,000 to $26,000. The vehicle is garage kept and was driven on a limited basis. The engine was replaced from a 1950's Cadillac and appears to be mechanically sound. The body was repainted and custom pinstripes were added. The interior was mostly restored at some point. Features include power windows, aftermarket headers, and dual exhausts, MSD ignition, spot lights, covered rear spare tire, bumper guards, fender skirts, radio, cassette tape player, and clock. 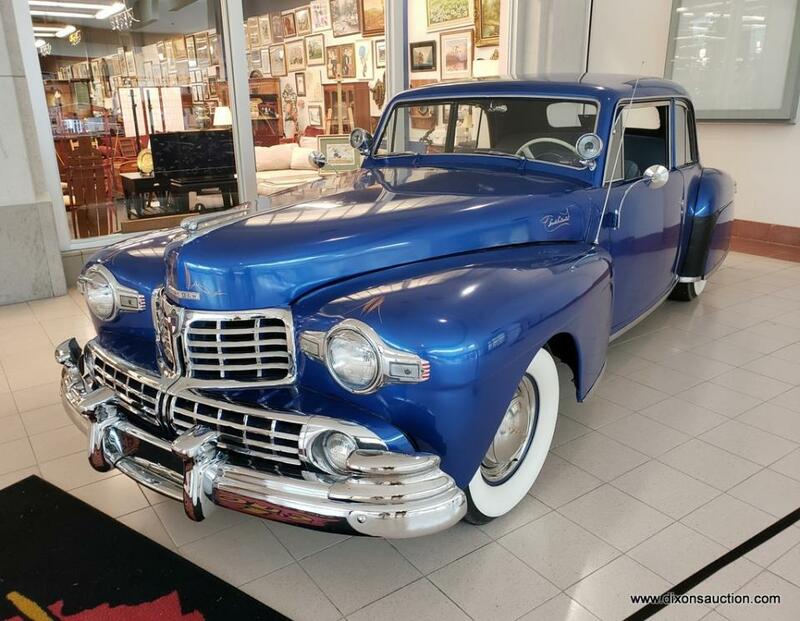 1947 Lincoln Continental 2-Door Coupe: VIN # 7H168582 Odometer 30531* 8 cylynder 331 ci Cadillac Engine, 3-Speed Transmission Appraisal Date 2/13/18 AAG File # 143711-163 The fair market value range is $23,000 to $26,000. The vehicle is garage kept and was driven on a limited basis. The engine was replaced from a 1950's Cadillac and appears to be mechanically sound. The body was repainted and custom pinstripes were added. The interior was mostly restored at some point. 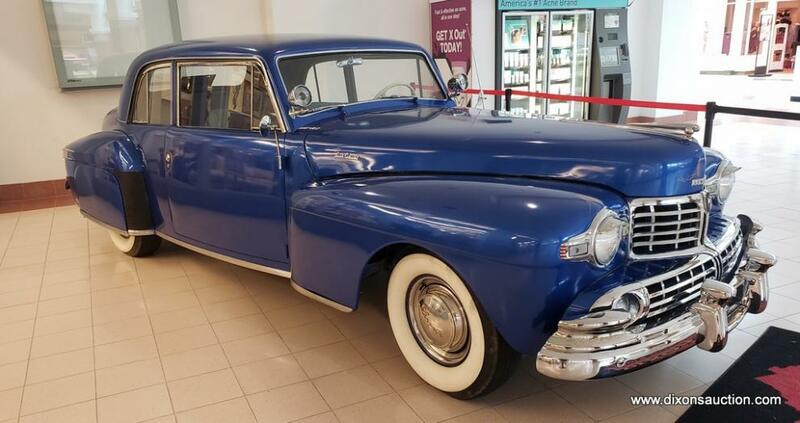 Features include power windows, aftermarket headers, and dual exhausts, MSD ignition, spot lights, covered rear spare tire, bumper guards, fender skirts, radio, cassette tape player, and clock.